Speaking of old friends, I feel like I've been reintroduced to an old design friend, Pier 1 Imports. I remember loving Pier 1 back in high school and college and always wanting one of their cool director chairs or their cozy papasan chairs. 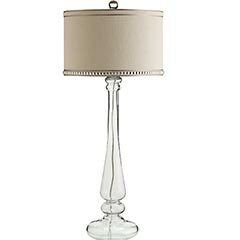 Pier 1's style is probably more ornate than my typical style, but it's a great resource for great accent pieces that add glam and sparkle to your classic/traditional basics. Not to mention, great prices! A pair of these would add pizazz to any room. 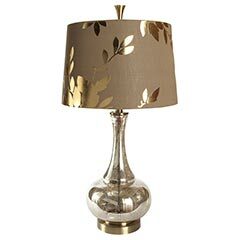 The inside of the shade is gold leafed and is gorgeous! Not bad for $125. The shade also comes as a chandelier too! 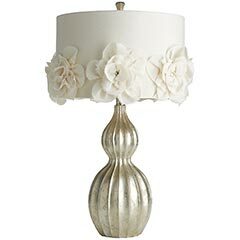 Rosette Hayworth Lamp. So much detail and could be so sweet in a girls room. $99. 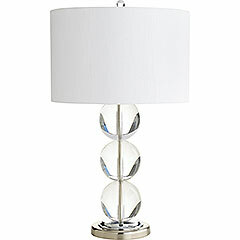 Serena Table Lamp. This one will never go out of style. Fabulous at $99. Want more style? Just add ribbon to the top and bottom of the shade. I'm seeing black or navy. Have a great week and check back tomorrow for more goodies from Pier 1.